If you’ve recently made the switch to streaming video, you may be wondering how to get local, national, and world news without cable or satellite services. This article will explain how you can get all the news you want without cable or satellite. 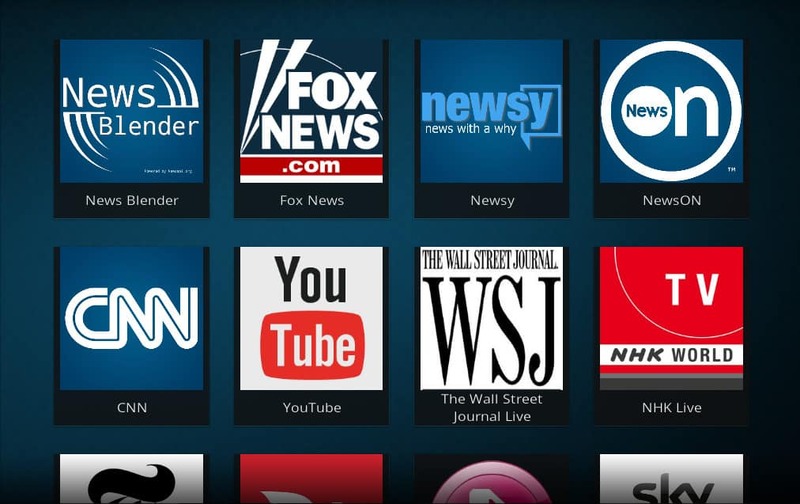 Specifically, it will list the best Kodi addons to watch live news channels or clips of the latest news. Kodi is a revolutionary software media player from the Kodi Foundation. It allows users to play audio and video files from a device or stream content from the Internet, doing away with the need for web browsers or separate pieces of software to handle different media sources. It also blocks advertisements from some streaming-video sites. Kodi can be installed on Nvidia Shield, PC, Mac, Apple TV, Android, or iOS phone. Kodi has gotten some bad press recently for being used in online piracy. However, there are many Kodi addons that stream from authorized sources, especially the news addons recommended in this article. Streaming video online always carries some privacy and security risks, and you can avoid many of these risks by always using a VPN. For example, hackers may try to acquire personal information from you by eavesdropping on data that gets sent between you and websites you access. Using a VPN helps to prevent this problem because it encrypts your data, making it very difficult for a hacker to get any useful information out of it. Using a VPN can also help prevent ISP speed throttling and can often unlock geoblocked content. Not all VPNs are effective for video streaming though. Some don’t have servers in enough countries to effectively unblock content or don’t have native apps for popular TV devices. For these reasons, we suggest IPVanish as a VPN solution for Kodi users. IPVanish has a native app for Amazon Fire Stick and Nvidia Shield, making it easy to install for streaming-video users. It has servers in over 60 countries, allowing users to unlock the maximum amount of blocked content. It keeps no logs. Overall, it’s an excellent VPN for users who stream video. For a list of more recommended VPNs for use with Kodi, read our guide. 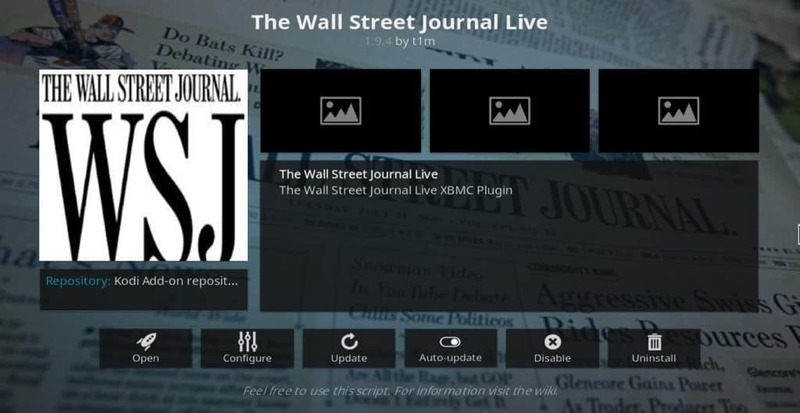 The following sixteen addons all provide up to date news on local, national, and world events. Some of them provide live news channels while others provide only clips. Most of them have no subscription fee. All of them except one are available from the official Kodi addon repository. 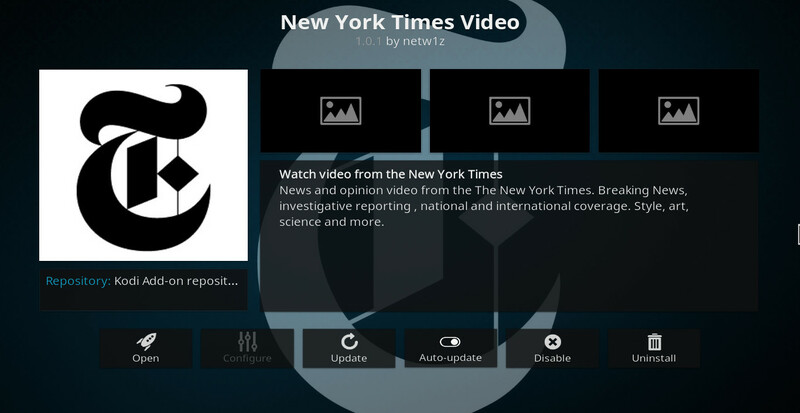 Newsy is a popular free website that produces short-form news videos. These videos are especially useful if you don’t have a lot of time to watch TV but want to quickly catch up on what’s happening in the world. Newsy also offers a free, 24-hour cable news channel with a “minimalist” emphasis in which analysis and opinion are limited in order to keep focus on the facts. 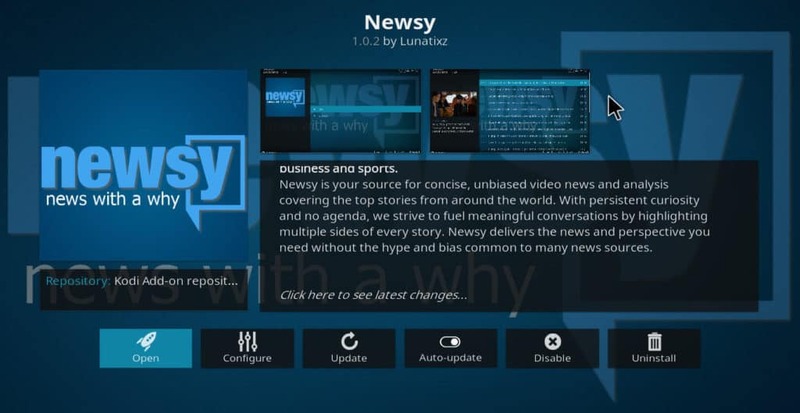 The Newsy Kodi addon gives you access to both clips from the website and the free live channel. It can be found in the official Kodi addon repository. Newsmax TV is another free, 24-hour live cable channel. It was created as an offshoot of the conservative news website, Newsmax.com. Some of its most popular shows are Behind the Curtain with Jack Burkman, Conversations with Nancy Brinker, and Newsmax Prime. 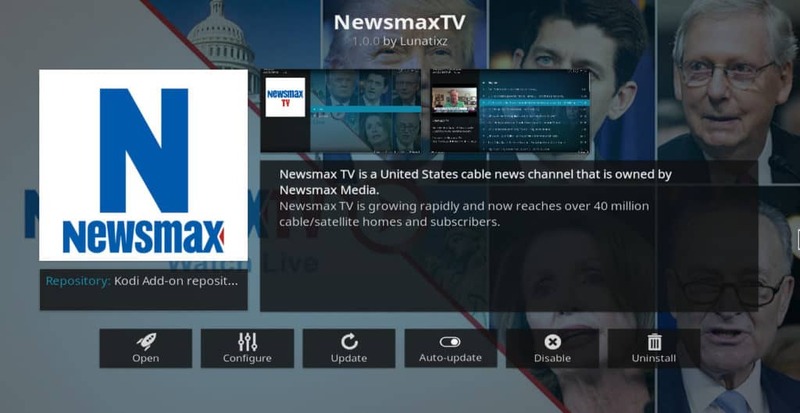 The Newsmax TV Kodi addon gives you access to this channel plus selected clips of shows. 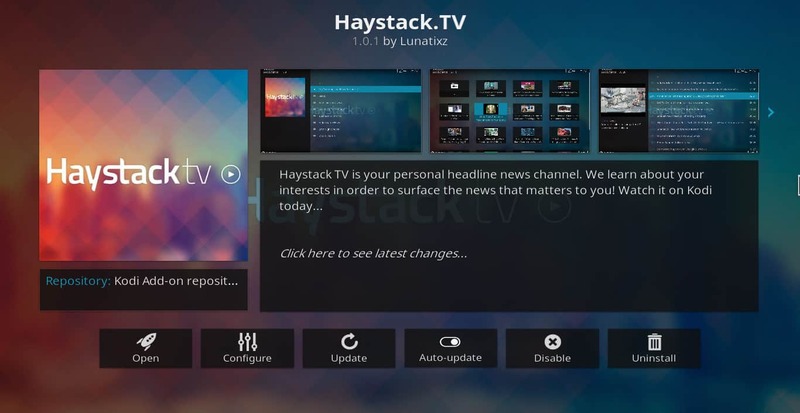 Haystack.TV is a news aggregator that finds trending news from a wide variety of YouTube and Vimeo channels. Its content is categorized into trending headlines, news, entertainment news, science & technology, business & finance, video game news, late night shows, and movie trailers. Its videos are usually two to three minutes in length, so this is another great addon to get a quick summary of various events happening in the world. The Fox News and Fox Business News cable channels are generally not available without paying for a premium streaming service like PS Vue. However, Fox News does maintain a YouTube channel and website that offers free clips of its programming. You can access all of these clips with the Fox News Kodi addon. The Fox News addon contains four sections. The first of these provides clips of Fox News shows, organized by the particular show. The second provides news clips organized by category, including politics, health, tech, science, travel, world, and others. The third and fourth sections contain Fox Business News clips also organized by show or category. 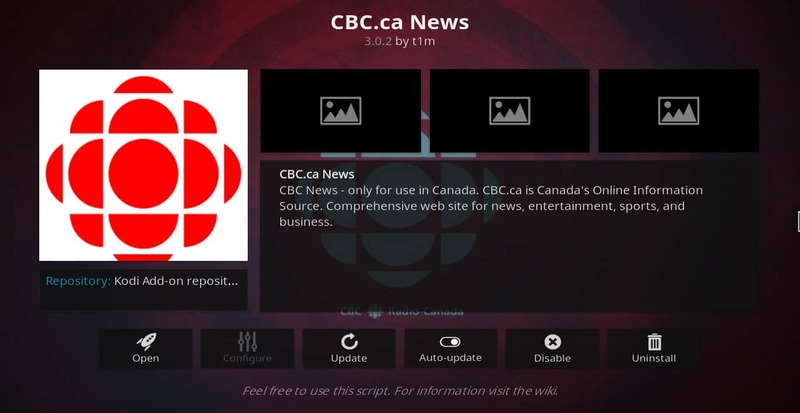 The CBC.ca Kodi addon provides the latest news clips from the Canadian Broadcasting Corporation. If you live in Canada or are otherwise interested in Canadian news, this addon is an excellent way to get news from a Canadian perspective. Pluto.tv is a free over-the-top TV service that provides over 100 channels, including over 13 news channels. It carries Today’s Top Story, News 24/7, NBC News & MSNBC, Cheddar, CBSN, TYT Network, RT America, Business News 24/7, Bloomberg TV, and the European version of CNBC. 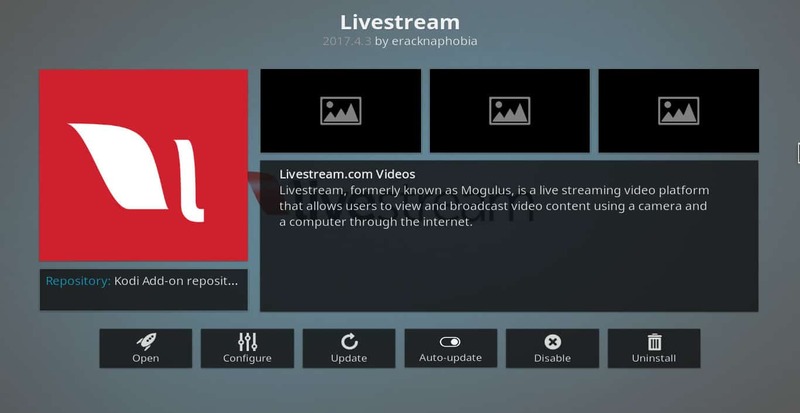 It also provides the live streams of Newsy, Sky News, and Newsmax TV, although you’ll still need these networks’ individual addons to get access to their clips. All of the above addons are great if you want to watch national or world news. But what if you want to keep abreast of events happening in your own city or state? This is where the Livestream Kodi addon comes in. Many local news stations use Livestream software to broadcast their news shows over the Internet, and the addon gives you access to these streams, as well as many others. There are over 250 of these streams available, from cities all across the world. While the rest of the addons on this list are free, some Kodi users may prefer to get their news from channels that charge to see their live streams, such as the U.S. version of CNBC, Fox Business News, and Fox News. 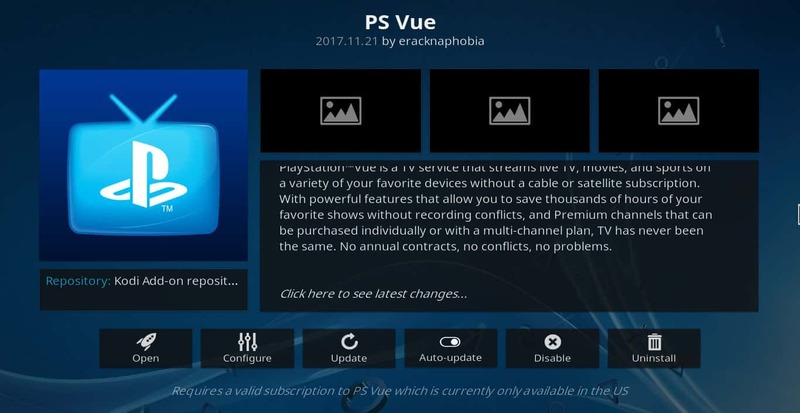 If so, the PS Vue Kodi addon will allow you to see these streams for a fee. The prices of the packages range from $39.99 to $74.99, depending on which non-news channels you want access to. It also allows you to add your favorite news shows to a list to be recorded and stored in the cloud, a useful feature if you’re sometimes too busy to watch them when they first air. 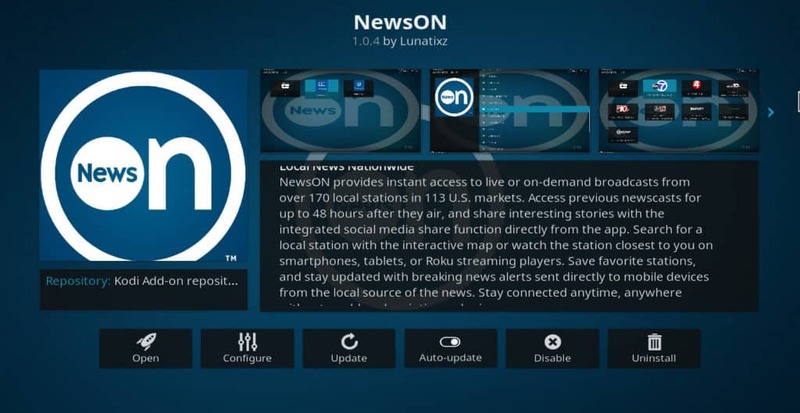 NewsON is another news Kodi addon focused on local channels. It carries over 180 stations in 90 different local channel markets. Unlike Livestream, NewsON only carries U.S. based news broadcasts. If you live in the U.S. and can’t find your local news channel on Livestream, you might want to try NewsON instead. When testing, we found NewsON worked sometimes, and other times streams failed to load. Still, shouldn’t stop you from downloading and trying NewsON yourself. When it works, NewsON has an impressive library of live news streams. New York Times Video gives you access to video coverage of health, food, travel, science, sports, real estate, business, and technology. The emphasis is on in-depth investigative reporting with high-quality cinematography and music rather than just a statement of the facts. If you appreciate news videos with a more artistic flair, you may enjoy the content offered by this Kodi addon. News Blender provides videos from a variety of sources, including Bloomberg, Business Insider, Forbes, CNBC, Australian Financial Review, Die Zeit, The Wall Street Journal, and more. If you want to get diverse perspectives on what is happening in the world, News Blender has what you need. NHK World is the international broadcast of Japan’s public broadcasting corporation. Its content is in English. Because of this, it has become popular with people all over the world who want to keep up to date with what is happening in Japan, or about world events from a Japanese perspective. 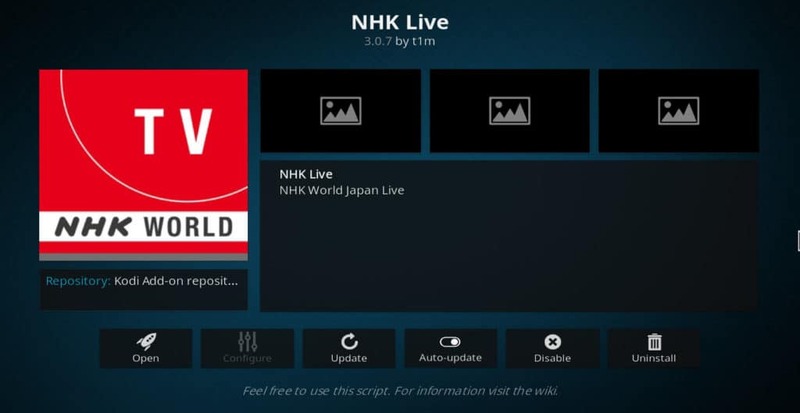 The NHK Live Kodi addon gives users access to the live stream of this channel. The Wall Street Journal Kodi addon provides videos from WSJ’s YouTube channel. It offers news about all aspects of business, including financial markets, management practices, technological developments, culture, politics, and more. The content is organized into 33 different categories, making it easy to find what you’re looking for. In the past, the CNN Kodi addon provided videos from both CNN.com and the official YouTube channel of CNN. Unfortunately, the CNN.com portion of this addon no longer works as intended. The YouTube section does provide plenty of content though. 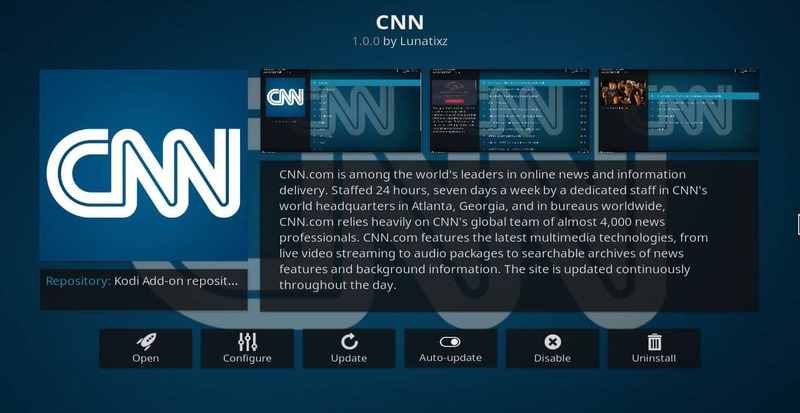 If you’re a fan of CNN’s journalism, this Kodi addon is still a must-have. FilmOn is a free, over-the-top TV service. It carries more than 600 channels, including 21 news channels. 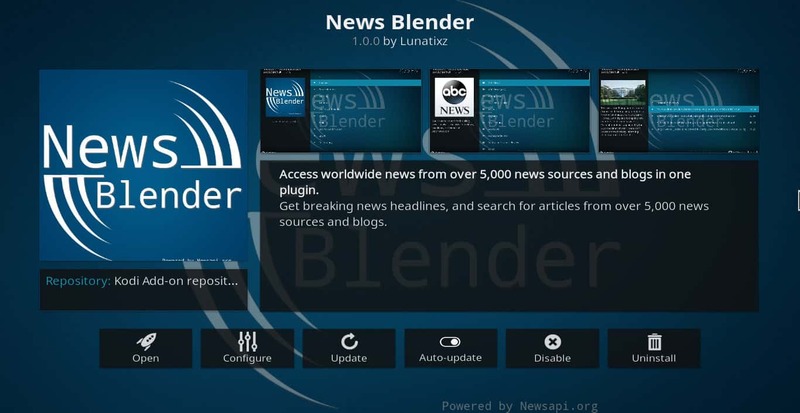 It offers Buzz60 News, CCTV News, Job Channel Network, Newsmax, Newsy Politics, Press TV, Truth Files, and others. FilmOn Simple is an addon that gives you access to these free channels. 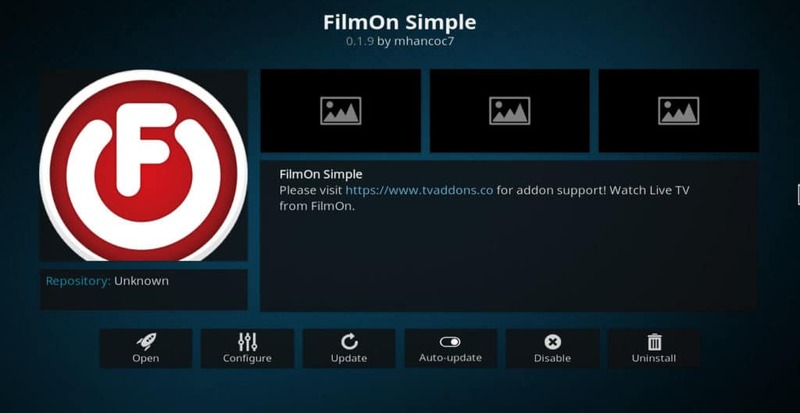 The FilmOn Simple Kodi addon is the only addon in this list that can’t be obtained through the official Kodi repository. In order to install it, you need to first install the TVAddons Repo, which can be found here. 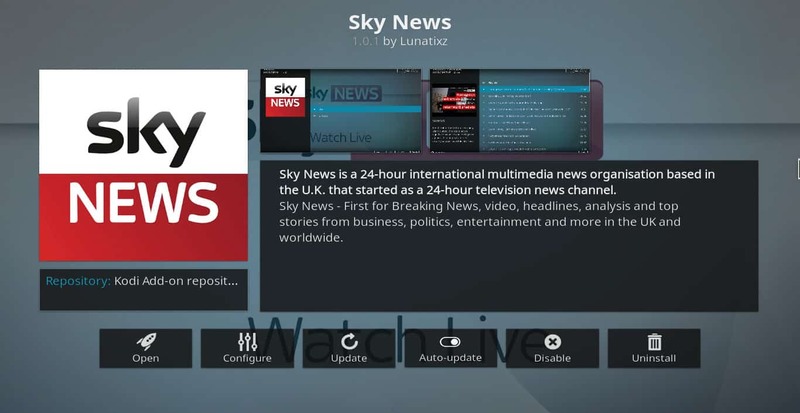 If you want to see live news streams or clips of the latest news, Kodi can help. Whether you want news about health, business, politics, travel, or you just want to know what’s going on in a particular country or city, there is an addon that can give you the content you are looking for. If you’ve found the information in this Kodi guide to be helpful, you may want to browse through some of our other Kodi guides, including the best Kodi addons to watch movies, how to install YouTube for Kodi, and the five best Kodi sports addons. Colin Brown: You can watch the regular BBC News on Zattoo using a Swiss VPN server: https://zattoo.com. The Kodi addon for Zattoo is available in the official repo. As far as I can tell, there is no legal online stream for BBC World News at all. It looks like BBC is not making it available. I am with Ray a 100% on why isn’t there MSNBC for Kodi. I have many many friends who have the same question. Many want to get Kodi but don’t for this reason only and are hanging onto their cable. Something just doesn’t seem right when you see Fox News all over the place. I would even pay to get it on a separate app. Dude what is the problem with MSNBC. Why no other news addons displays MSNBC. I don’t get it. If they do, it’s very limited. Can you please answer that. Thx. Ray Byrd: Channel 110 on Pluto.tv is the “NBC News & MSNBC” channel. 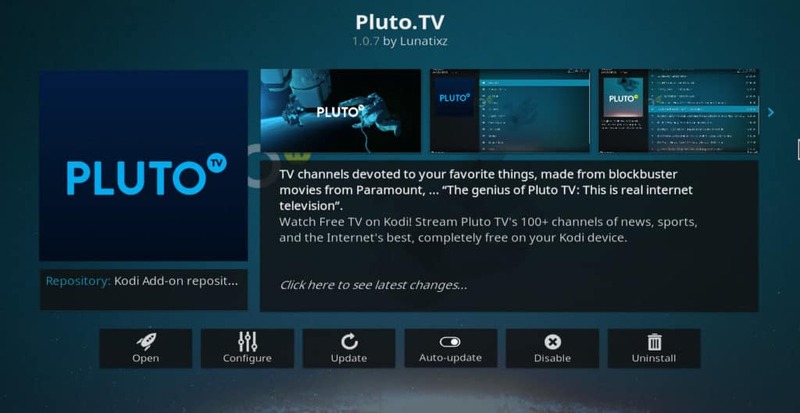 You can watch it for free using the Pluto.tv Kodi addon. 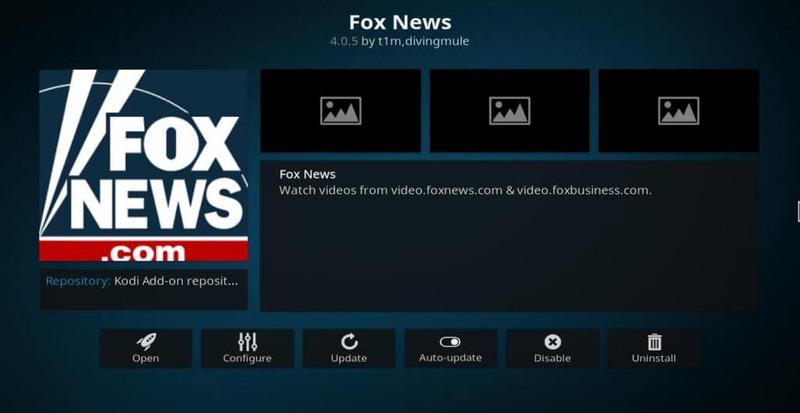 I’m not sure why there aren’t any Kodi addons specifically for MSNBC.